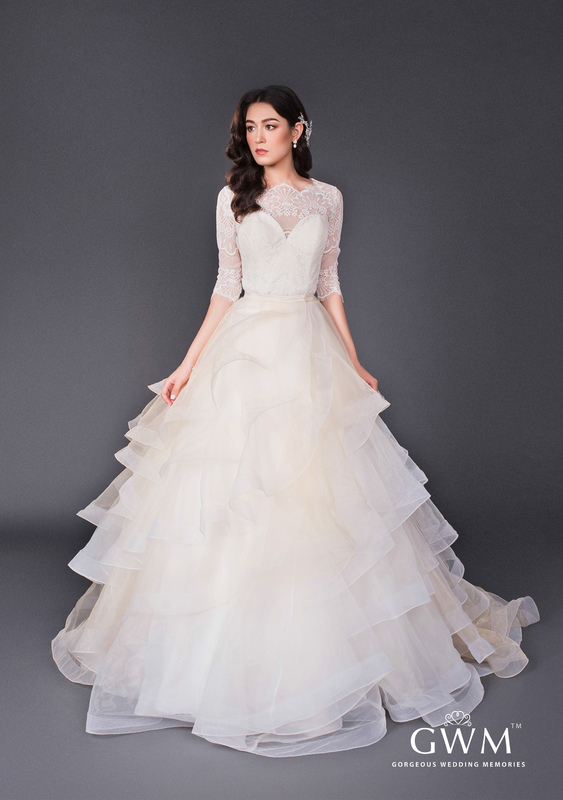 The bodice of this gown features a sweetheart neckline with an illusion lace bateau neckline and three-quarter sleeves. 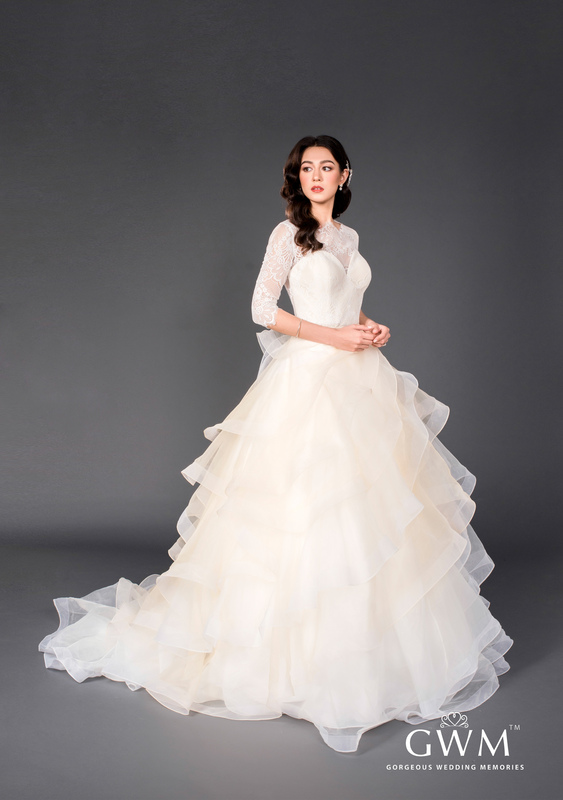 This fitted, full lace gown features and elegant center-front split. Paired with the fitted dress is a stunning ivory and champagne ruffled princess over-skirt to take your bridal style from tradition ceremony to modern reception simply and stylishly.